The Coalition for Community Energy (C4CE) has released a new edition of its Small Scale Community Solar Guide, which aims to help more community renewable energy projects to get off the ground. The guide comes in response to the growing popularity of community solar and showcases seven successful community solar projects which have been set up using different structures. It includes details of the financial and legal structure of each and recommendations about which setups would be best suited to different types of initiatives. Projects include Lismore’s Farming The Sun initiative, which is a collaboration with Starfish Initiatives and demonstrates a community – Council partnership model. Starfish also collaborated in writing the guide. Tom Nockolds, co-author of the guide and co-founder of Pingala, said the C4CE expects the community renewables sector to continue to grow. “Communities are fed up with all the politicking around energy in this country, and are just getting on and creating their own clean energy projects,” he said. The aim of the guide is to spread this learning and impact as far and wide as possible. 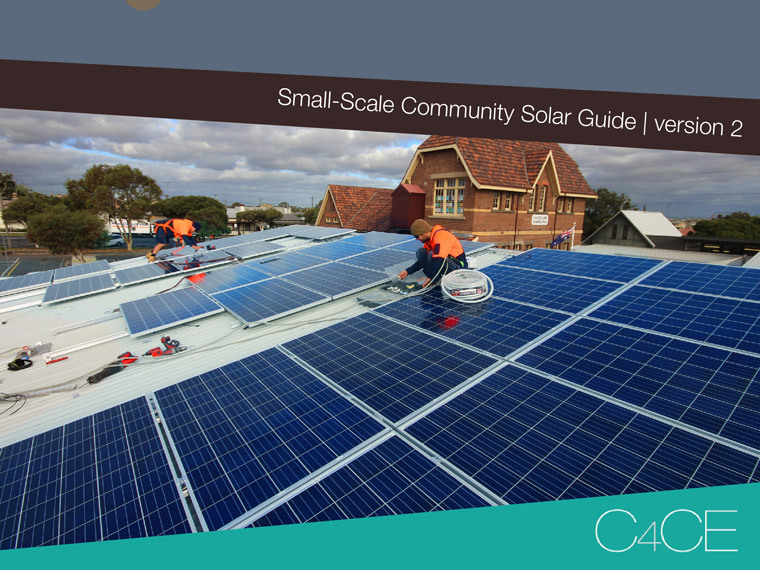 Download the Small Scale Community Solar Guide here. A NSW philanthropist has come up with and ingenious way to share her passion for renewable energy. Zeromow gives people, including those who work with power tools every day, the chance to try out an array of battery powered garden tools, including a fully electric ride-on lawnmower. For this reason high-emission NRSIEEs are banned in many other countries. Sally Perini, who lives in the foothills of Sydney’s Blue Mountains, set up Zeromow after falling in love with electric cars and switching in order to ‘walk the talk’ and reduce her impact on global warming. 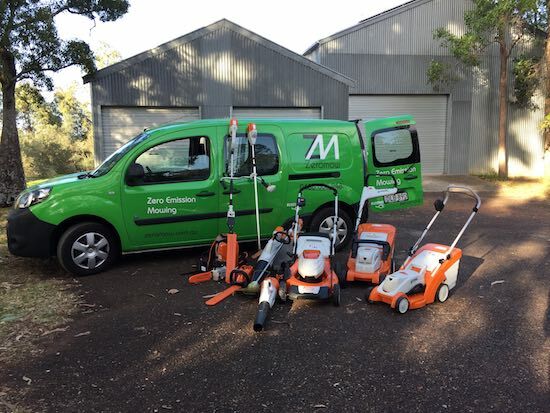 Sally was then inspired by Mike Vaughan who set up Enviromowing in Brisbane, which is a mowing service powered entirely by electricity (including vehicles and equipment). Sally hopes that by allowing other gardeners and landscapers to try her electric tools ~ which she charges from her own solar panels or another source of renewable energy ~ she can help fast track the changeover to the quieter, more efficient lithium-ion battery equipment and reduce the amount of greenhouse gases released. 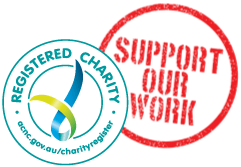 Sally Perini is also one of the philanthropists who has donated money to Starfish’s earthfunerals initiative, which has allowed us to establish our first Natural Burial Ground. We are honoured to be in such great company! The largest hydroponic vegetable grower in Australia has been able to expand its operations thanks to a groundbreaking collaboration with a 196MW wind farm development. Nectar Farms had planned to power its $565m expansion project with gas but almost had to abandon the project when costs proved to be prohibitive. 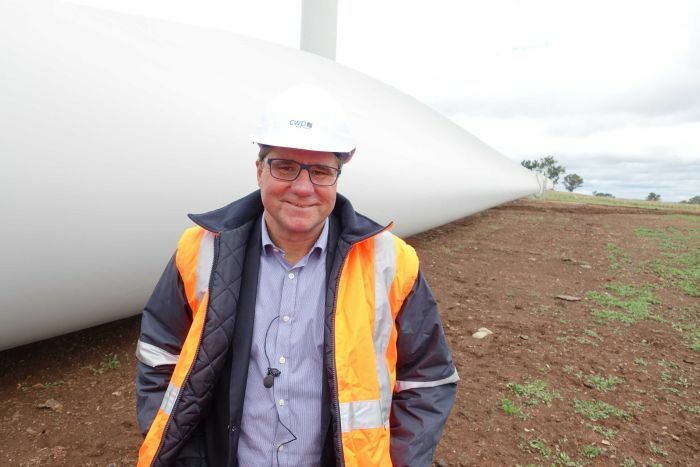 However, after discussions with state government, local council and Neoen, the wind farm developer, they will now convert their entire operation to run on electricity from the wind farm and expand their glasshouses to 40 acres, creating 1,300 new jobs in an area which has recently suffered the closure of a goldmine. Bulgana GPH Announcement from New Era Media on Vimeo. Energy minister Lily D’Ambrosio highlighted the fact that renewable energy can ‘unlock opportunities for large, energy intensive businesses, to create jobs in regional communities’. “We’re delivering affordable, secure and clean energy, which is powering new jobs right across our state,” D’Ambrosio said. The project will also incorporate 20MW of battery storage, meaning it is 100% powered by wind energy. Nectar Farms will only use 10% of the electricity generated by the wind farm, with the rest to be purchased by the Victorian government. This is one of several wind and solar farms planned for western Victoria, which will help the state to meet its target of 40% renewable electricity by 2025 and also count towards the federal renewable energy target. 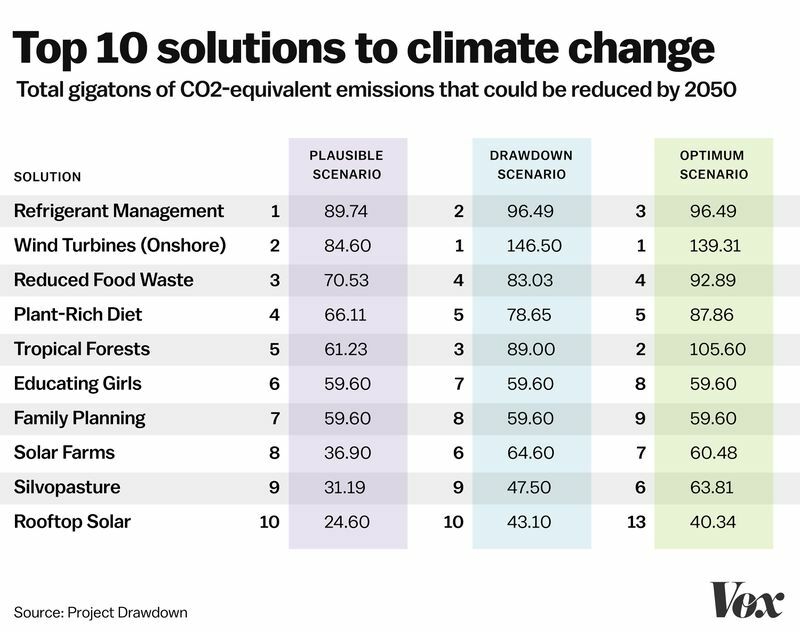 Drawdown ~ a new project and book spearheaded by Paul Hawken, represents the first comprehensive attempt to rank solutions to climate change and measure their relative effectiveness. Researchers studied existing data on solutions which are already in use and proven to reduce global warming, in order to help normal people understand what they can do to combat climate change and how much effect it might have. Hawken and his team were surprised by some of the results and pleased to be able to highlight such a diverse array of solutions. In addition to the oft-touted wind and solar solutions the team discovered that factors such as educating girls (#6) and reducing food waste (#3) were high up on the list. And number one? Refrigerant management! When was the last time you heard about that on the news? Together, educating girls and family planning constitute the most impactful intervention towards carbon drawdown. Each potential solution was modeled on three scenarios: The Plausible Scenario, where these solutions continue to be adopted at a realistic rate based on current trends; The Drawdown Scenario, where the implementation of solutions is accelerated achieve drawdown by 2050; and The Optimum Scenario, where all currently available solutions achieve their maximum potential and fully replace conventional technologies. This project serves a two-fold purpose of keeping humanity hopeful with evidence that drawdown is possible and providing clear, science-based information for ordinary people about where our climate change efforts should be focused. The even better news is that even the ‘Optimum Scenario’ only takes into account technologies and approaches which have already been developed and proven. There is a whole world of emerging technologies which will likely have huge impacts on the problem of global warming. These ‘coming attractions’ and are likely to make drawdown an even more achievable goal. Paul Hawken’s classic book Natural Capitalism (written with Amory Lovens and L. Hunter Lovins) is available for free download here. 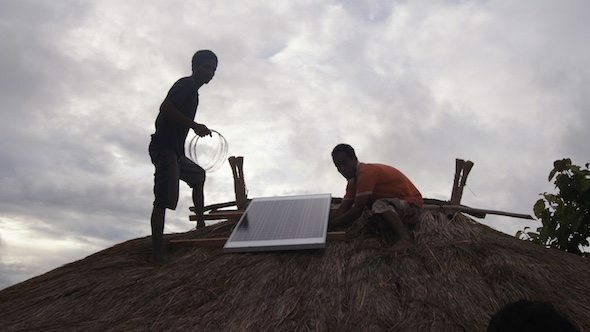 An Aussie startup company, Village Infrastructure Angels (VIA), has launched a social enterprise project which leases solar set-ups to villagers in developing countries. By providing rural communities with access to solar-powered lighting and phone charging capabilities, as well as shared agro-processing facilities, company founder and solar entrepreneur Stewart Craine hopes to cut dependence on fossil fuels, improve agricultural productivity and empower communities. So far the project has proven to alleviate the time burden involved with food production, particularly for women, and open up possibilities for other paid employment. This has been achieved by leasing solar powered mills to communities to help them grind and de-hull grains. A mill shared between a group of families can turn what used to be a highly labour-intensive task into a five-minute doddle, improving agricultural productivity and freeing up time for other activities. Introducing solar technology in these rural communities also decreases their reliance on fossil fuels as it provides an alternative to kerosene lamps and diesel-powered generators. Craine, who also helped found the solar lighting group Barefoot Power, has already attracted interest from investors for this new project. The company has achieved its pilot goal of reaching 1000 households and plans to reach 10,000 households by 2018 and a whopping 200,000 by 2020. This is in an effort to help more of the 1 billion people around the world who lack access to electricity. 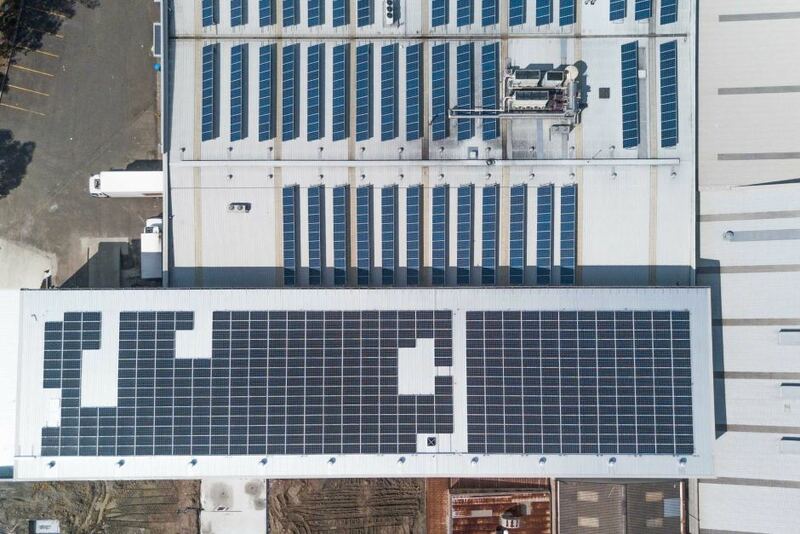 Within six hours of it opening, investors had pitched in to invest in one of the newest community funded renewable energy projects, a huge 230 kilowatt solar system on the roof of Bakers Maison in western Sydney. The public appetite for community-funded renewable energy appears to be limitless, with projects proving so popular they are selling out within minutes of being offered to investors. This latest initiative, saw 20 investors pitch in almost $400,000 in total in just six hours. The project has been set up by volunteer-run ClearSky Solar Investments. The company will pay investors for the solar energy it uses over a period of between seven to 10 years. The investors get a 7% return on the money they put in. After that time, the business owns the panels and will use its energy for free. “There’s a huge appetite out there for people to invest in renewable energy, we just need more projects,” ClearSky Director Warren Yates said. Bakers Maison employs 120 people and runs every day of the year, baking and freezing French-inspired products that are sold to all corners of Australia. “We are spending hundreds of thousands of dollars in utility bills,” General Manager Pascal Chaneliere said. The bakery already had a 100 kilowatt solar power system, which will now be bolstered by this new, much larger community project. Mr Chaneliere said getting investors involved to help out with the costs of the new solar panels would help further reduce their bills. David Blowers from the Grattan Institute said community projects had potential to save the electricity grid from expensive upgrades that are passed on as costs to consumers. He said network businesses should look to get involved in some community projects. “You want to see a framework which encourages the right sort of solution for the right sort of problem,” Mr Blowers said. “At the moment it’s a one solution fits all, which is you build more poles and wires.” He added his view that Government needed to look at the way the grid costs were regulated to make sure costs were spread fairly. More than 50 community solar projects are up and running across the nation, with individuals investing almost $24 million in total. But Australia remains well behind Denmark, which has 5,500 projects up and running, many of those wind farms. Scotland has more than 500 community energy projects, while Germany has 880 energy cooperatives. https://starfish-initiatives.org/wp-content/uploads/2013/04/SF_Print_Initiatives.png 0 0 Susan McMichael https://starfish-initiatives.org/wp-content/uploads/2013/04/SF_Print_Initiatives.png Susan McMichael2017-05-01 13:01:542018-06-08 18:15:25Investors snapping up community energy projects... which are selling out in hours! It’s been 64 years since the world has been this close to Doomsday. The Bulletin of the Atomic Scientists has been updating the Doomsday Clock regularly for 70 years. On Thursday, they turned the hands to two-and-a-half minutes to midnight. That’s a bit closer than last year, when the clock was three minutes to midnight and the closest the clock has been to midnight since 1953 when it was two minutes to midnight. That move came following the U.S. detonating its first thermonuclear bomb and Russia detonating a hydrogen bomb. In the early days, the threat of nuclear war was the primary gear turning the clock’s arms. Climate change became a cog in 2007, moving the clock closer to midnight that year. Scientists invoked it in 2015 again, pushing the clock closer still to midnight. And in 2017, another cog was added: a rising tide of political leaders around the world making statements unhinged from facts. 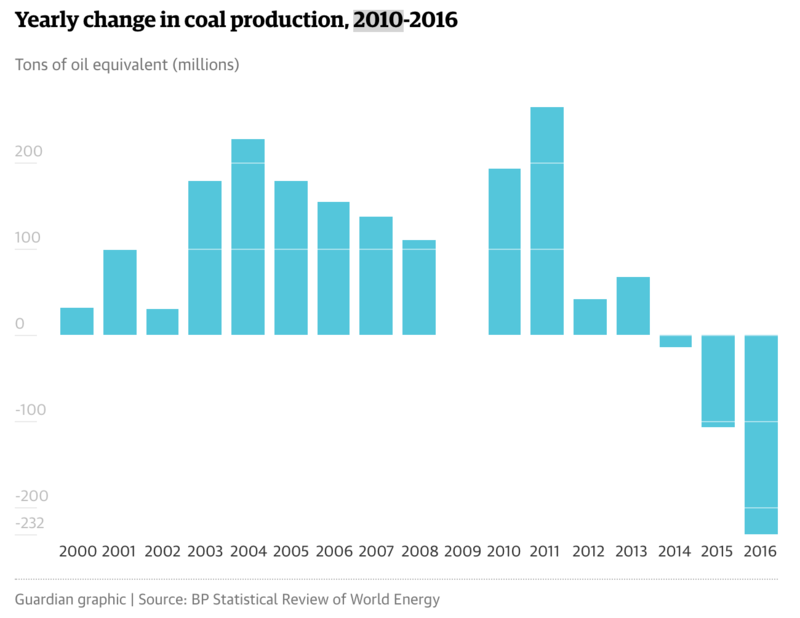 Climate change facts are clear: that the world had its hottest year ever recorded in 2016, the third year in a row that mark has been set. Arctic sea ice has been decimated by repeated heat waves, seas continue to rise and researchers have warned of instability driven by climate shocks. The cause is human’s pouring carbon pollution into the atmosphere. “Facts are stubborn things and they must be taken into account if the future of humanity is preserved,” said Lawrence Krauss, one of the clockmakers and a professor at Arizona State University. Yet despite knowing all of that, scientists have stressed that the world is not doing enough to put humanity on course to avoid catastrophic climate change. David Titley, a professor at Penn State and one of the authors of the new doomsday clock report, said that while the Paris Agreement represents a positive step, the climate talks in Morocco late last year didn’t move the ball forward enough. While these actions weighed on the decision to move the clock’s hands closer to midnight, scientists also considered another disturbing trend of world leaders espousing policies and making statements not tied to evidence. There’s no more stark example than the rise of Donald Trump in the U.S. He has espoused climate science denialism as have many of his cabinet nominees and advisors. He’s also made false statements on dozens of topics, from voter fraud to the size of his inauguration crowd. This is hugely problematic when it comes to climate change, where the U.S. stands as an outlier with the only head of state to deny the science behind it. This is the exact moment when the world needs to be doing more to address climate change. Yet the current administration of the world’s largest historical emitter is poised to ignore this fact, putting the future of humanity at risk. “Nuclear weapons and climate change are precisely the sort of complex existential threats that cannot be properly managed without access to and reliance on expert knowledge,” the scientists wrote in their report. Scientists said they only moved it forward 30 seconds because Donald Trump has held office a few days. There’s still a slight hope his actions could be different from his words. If they’re not, the hands of the clock may move even closer to midnight.